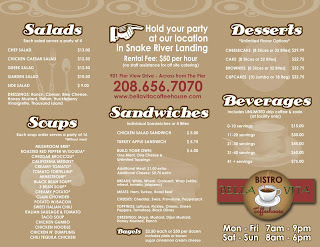 Bella Vita Bistro and Coffeehouse, 901 Pier View Drive, has put out a new catering menu. If you're interested in seeing it, click on the picture and see if anything strikes your fancy. 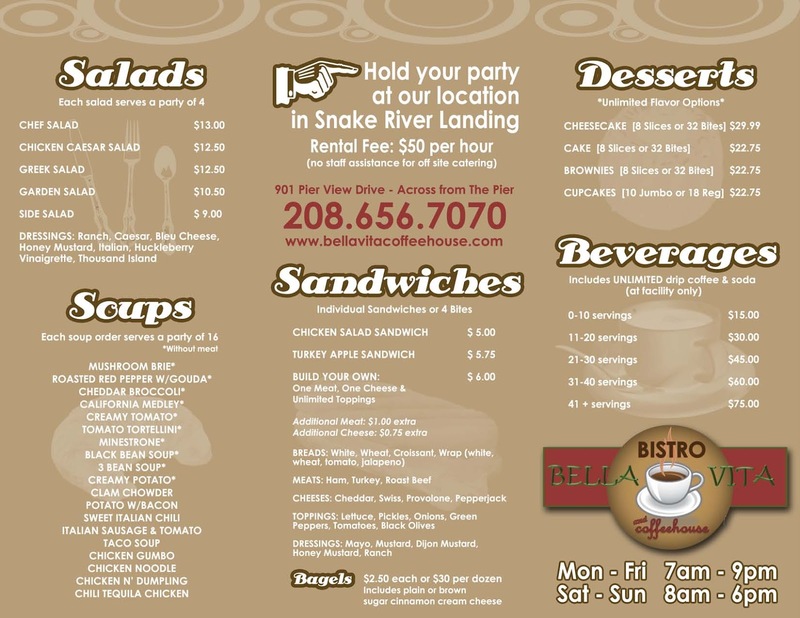 If you're a restaurant with any kind of news, e-mail us at bizmojoidaho@gmail.com. Our readers eat this stuff up. The resort boasts its own spa and golf course, as well as year-round activities, including sand castle-building competitions, patriotic tie-dyeing and family olympics for those staying on the island.